Along with Dresden’s famous monuments such as Frauenkirche, Semperoper and the Zwinger, the Yenidze belongs to Dresden’s most distinctive pieces of architecture. Built in the style of a mosque, the former cigarette factory stands out clearly from the common Baroque and renaissance architecture found in other buildings in central Dresden. The Yenidze is located on the east side of Dresden’s district of Friedrichstadt, which is only short walk away from the town centre. Read more about the history, architecture and current use of this unique building. In 1908, Dresden began to build a cigarette factory in the style of a mosque, which is one of the most distinctive buildings in Dresden to-day. Saxony’s capital, with its Baroque city centre, is considered a Mecca for arts, culture and architecture fans. Stretching over five floors, Yenidze offers 9 000 m² of prestigious office spaces in a central and well-connected location. It's unique architecture fascinated me right away. The Yenidze has such an unbelievable charisma. 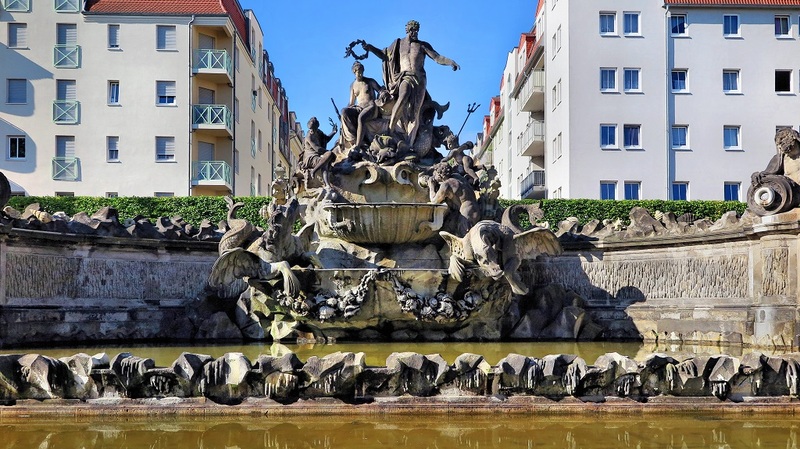 The Yenidze is located on the east side of Dresden’s district of Friedrichstadt, which belongs to Dresden’s suburbs and was called “Ostra” up until the 16th century. In 1568, the so-called “Ostravorwerk” was founded which was built to supply the court and secure Dresden’s fortress. In 1835 Ostra was renamed to Friedrichstadt and suburbanised to Dresden. The Yenidze is a former cigarette factory in Dresden which is currently used as an office facility. The building is owned and managed by the EB GROUP. Enter your email address here to sign up for the EB Group newsletter. EB GROUP is a group of companies in the real estate sector.